The narrator's point of view in Sir Orfeo is with a human, and the human has the power of enchantment. 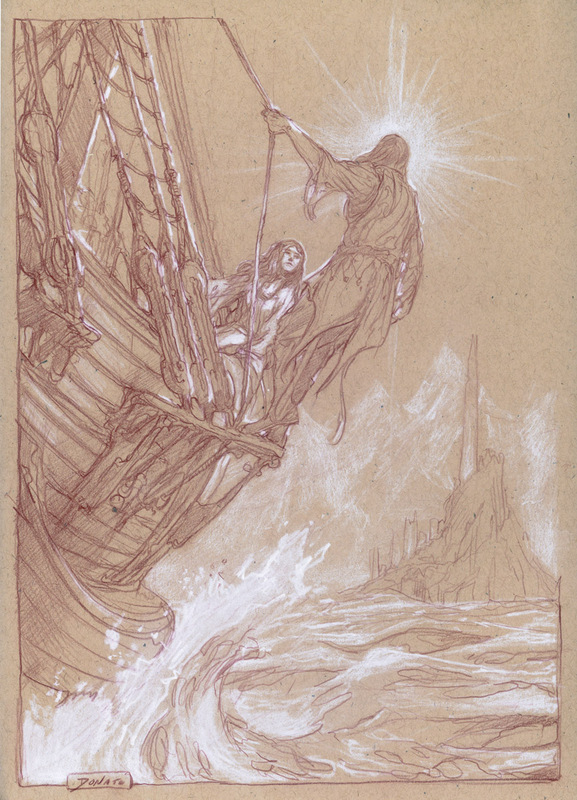 In the The Silmarillion, both the narrator and the power are with the Elf. That's curiously backwards from the usual fairy-story, where the narrator stands with the enchantee. That's a great observation, Joe. According to what Tolkien says in OFS, that fairy tales are about the adventures of humans in Faërie, not about fairies, The Silmarillion would not be a fairy tale. Take a look at The Lay of Leithian, lines 2650-2660ish -- just after the death of Finrod. It has always seemed to me that this is a description of Faërian drama through song, as there is no 'seeming' about what Beren feels, hears or sees. 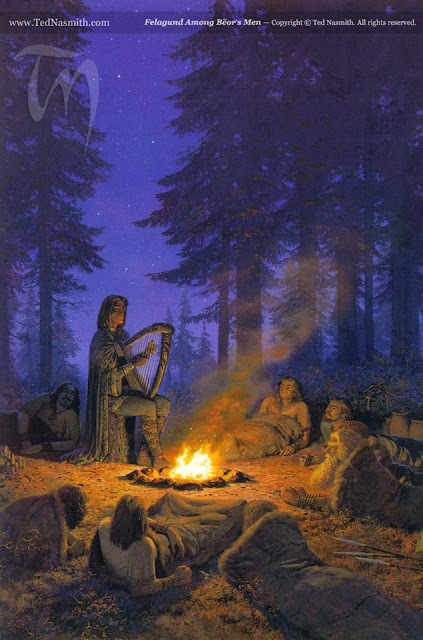 Lúthien's song creates a reality which he enters into, and which inspires his response. Yes, I think that's a splendid example, and it's good to be reminded of it since in The Silmarillion of course we can see that Finrod and Sauron's duel is an example, but we don't get the details given here. Thank you, Kate. Where and when is the forthcoming paper to be published? Any chance I could get a preview?